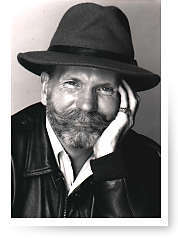 Gerald Wil Rafferty, Ph.D. is a Communication Psychologist. Through his books and training and counseling programs, he has helped hundreds - individuals, couples, families, business executives - toimprove their lives by improving their communication skills. Dr. Rafferty created a unique program called Communication Profiles. He believes we each communicate in a way that is best suited for us. His Profiles create a 3-dimensional view of your unique communication style. He then shows you how to best work with your style to help you get what you want in all your communications. Dr. Rafferty also teaches you how to identify the unique communication profiles of the people you interact with and how to best work with their styles for successful communication. Communcation Profiles help people accept the unique qualities that brought them together in the first place. Couples learn new skills that turn arguments into constructive talks, without judgement, criticism, and blame. Communication differences become strengths used to build a relationship instead of tear it down. This brings the romance and joy back into their relationship. Communication Profiles work especially well in the office. Every business interaction is a communication exchange. If it's not successful it costs money - sometimes big money. Many jobs are lost due to poor communication. The cost of replacing and retraining executives and highly trained employees is one of the largest expenses a business faces. A major example of the cost of poor communication is in the health field. Insurance companies have proven that improved communication between caregiver and patient substancially reduces malpractice suits. Managers and employees can learn how to recognize various communication styles and adapt and adjust to them to make communication more successful. Relationships and careers can be repaired and put back on track by using this innovative, short-term action program. Most people see results within 3 to 4 sessions.